Successful real estate agents often work long, hard hours to reach their goals, but the career has many benefits. Keep reading to learn how to become a realtor to see if it's something that may interest you. Each state has its own minimum age requirements, which is usually 18 or 19 years old. Each state also has different requirements regarding the necessary education, but typically, you'll need at least a high school diploma. Motivation: Any type of sales is difficult, but selling homes takes a highly motivated person. You might show a home for months without making a sale, but you can't give up. Buying or selling a home isn't a decision you make overnight. Buyers and sellers are often cautious, which means you have to be motivated enough to not give up. Marketing skills: Word-of-mouth referrals are great, but you may not get them right away. Even if you do, you'll always need to be on your "A" game in marketing. Understanding how marketing and advertising work and taking the steps necessary to get your name out there is crucial. Flexible schedule: Realtors don't work 9 to 5. In fact, a majority of their hours are put in at night and on the weekends. If you aren't going to be available during those times, you may have a harder time making sales. 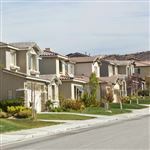 People who want to buy homes typically have a job so that they can buy that home, which oftentimes means they aren't able to view homes until the evening or the weekends. Patience: Buying and selling homes takes a lot of time. You aren't going to go out there your first week and sell a home. It could take months, and that's okay. But you have to be okay with it yourself or you could easily get frustrated and want to throw in the towel. How Does a Realtor Make Money? 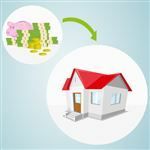 Realtors make money on commissions they earn when they sell a home or help a buyer buy a home. The selling agent usually collects the commission from the seller and divides it up according to the contract signed at the onset of the relationship. Learn your state's licensing requirements: Each state has its own licensing requirements. Each state requires a different amount of pre-licensing hours of education before you can sit for the state's real estate exam. Many states also require a certain number of hours of education after you receive your license, but within your first year of working as a real estate agent. Take your pre-licensing courses: You typically have several options when signing up for your pre-licensing real estate courses. You can usually take live classes at real estate schools, some real estate broker offices, and some college campuses. You can also take classes online from the comfort of your own home. Make sure you choose the option that you will be able to stay consistent with, as there is a lot of material to cover in order to pass the real estate exam. Learn your state's requirements to take the real estate exam: Some states require a background check before you can sit for the exam. Other states have certain paperwork you must complete and have processed before you can schedule your exam. Try to do this step as early as possible so that you are eligible to take the exam as soon as you are ready. Typically, you'll pay for the application and/or test, so consider those as well. Take the real estate exam: When you feel ready, take the real estate exam. Don't worry if you don't pass your first time—many people don't. If you don't pass, consult with your state's licensing agency to determine how long you have to wait before you can take it again. You may also want to entertain the thought of taking a refresher course to help you in areas that you may have struggled. Each state has its own requirements regarding a passing score on the real estate exam. Check with your State Board of Realtors to determine what score you need to pass. Find a Real Estate Broker: Once you pass the exam, you technically aren't a "realtor" quite yet. You need a broker to sponsor you. Some applicants find a broker/sponsor before they sit for the exam so they can get started on their career as soon as they pass the test. Your broker/sponsor will have to complete paperwork with your state in order for you to receive your license. Because each state's requirements are different, the time it takes to become a realtor can vary. Typically, you should be able to complete classes in less than 6 months. How long it takes to pass the exam and find a broker really depends on the amount of work you put into the process. Is Becoming a Realtor Right for You? Don't just assume that becoming a realtor is right for you. Many people glorify the job thinking that they have a knack for finding the "hidden gems" in real estate, so they think it would be a great job for them. Becoming a realtor costs money. You need money to take the required courses and to take the exam. You also need money to start your business. Even though you'll work under a broker, you cover many of your own expenses, from business cards to setting up a website. Every realtor will have different expenses, but knowing the average cost of starting at your chosen broker can give you an idea. As we mentioned, you also need time. We aren't talking normal business hours, either. You have to be comfortable being at the beck and call of your clients, who may operate on different schedules than you are used to following. Those family dinners and weekend outings may have to wait until you get your feet on the ground and sell a few homes. Understanding what becoming a realtor entails will help you make the right decision for yourself. Don't let the glorified definition of a realtor sway you. It's a lot of hard work and hard-earned money that you must spend. If you are in it for the right reasons, though, it may be a lucrative option for you. Do you have to go to college to become a realtor? In many states, you don't need a college education to become a realtor. Check with your state's Real Estate Commission to learn the requirements in your state. What is the cost of real estate school? The cost of real estate school depends largely on where you go. If you take live classes, you may pay more than the student taking online classes. You will find classes at state universities, for-profit schools, real estate schools, and online. On average, you can expect to pay between $500 and $2,000 for real estate courses. Is the real estate exam multiple choice? Each state's exam is slightly different, but in general, you can expect around 150 multiple-choice questions. Should you join the National Association of Realtors? If you want to be a true "realtor," you'll need to join the NAR. You must join the NAR if you want access to the Multiple Listing Service listings. The NAR has a strict code of conduct that all realtors must follow. They also provide you with access to resources that you wouldn't have access to without membership. The NAR can be a great starting point to helping your career soar. How often does a real estate license need to be renewed? Each state has its own requirements concerning how often a real estate license must be renewed, as well as what it takes to renew it. Many states require a certain number of hours of continuing education in order to renew the real estate license. Choosing to become a realtor is a big decision. You aren't choosing a standard 9-to-5 job with a set salary. You choose to work on commission and work grueling hours. The rewards often greatly outweigh the downside, but you should truly understand what it takes before jumping in headfirst. Leave a comment about How to Become a Realtor? Share on Facebook "How to Become a Realtor"